Why does drupe require notification access permissions? I can't download drupe! The download process stops in the middle. 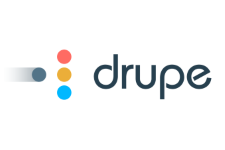 drupe Android app offers a smooth alternative to the way we handle mobile interactions. Using drupe, your friends are always one swipe away! drupe adds a minimal trigger that appears on your phone screen which enables you to easily interact with your contacts. With a swipe of the trigger, drupe brings your contacts and favorite apps to one screen, so you can easily choose the action you'd like to perform with each contact. You can drag your friend's avatar to the WhatsApp action to send them a message, use the Waze action to navigate to their location and even invite them to an event. drupe also helps you identify unsaved phone numbers with the Caller ID feature so you won't be surprised by non-familiar callers.